The reports available on the medical benefits of plant-based eating are innumerable, and it can sometimes seem like you’re being swamped with information. But, the question is: what to believe? 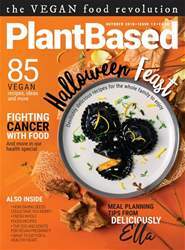 To make finding the facts quicker, simpler and slightly less scary, we’ve sourced the key figures, questioned the top doctors, health specialists and dieticians, and spoken to the inspirational people who have turned to plant-based food to fight off disease. Working on this month’s issue has definitely been a source of inspiration for me – it has given me a new drive to continue improving my vegan diet; not only for the welfare our animal friends, but for my own health, too. Delving into the deep waters of health and preventative dieting, for our health special (p.42), has allowed me to meet some incredibly inspiring people, who are fighting back against their life-altering conditions with bravery, determination and a change to a plant-based diet. 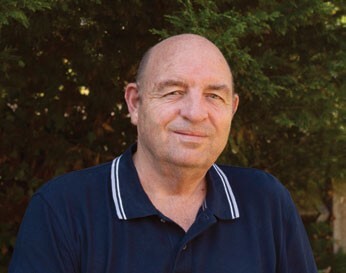 Turn to page 50 to read about Dennis’ fight against MS and ataxia. And on the topic of health, we’ll also be looking at a condition which – due to its prolific rise – is catching the attention of medical professionals and the media across the world: type 2 diabetes. Read the raw facts and expert advice on how we can prevent, and even reverse, type 2 diabetes through the power of plant-based food, page 52. Then we’ll be talking to one of our absolute favourite plant-based chefs: the delightful Deliciously Ella, who herself turned to plant-based food to overcome illness, and is now medication-free and controlling her symptoms through a naturally nourishing diet. Ella will be giving us the lowdown on what she eats to stay fit, healthy and active every day. Turn to page 64 to see how she aces planning meals, staying healthy and still piling her plate full of flavour. But, with everything in life, there should always be balance… so after our host of healthy food, you can feel completely guilt-free when cooking up our delicious Halloween feast recipes! From savoury to sweet, we’ve covered all the bases in our spooktacular festive feature and are supplying you with some of the most decadently delicious vegan meals to date (I’ve made the cheesecake twice at home already – you’ve got to try it! P.36). Have a happy and healthy October!